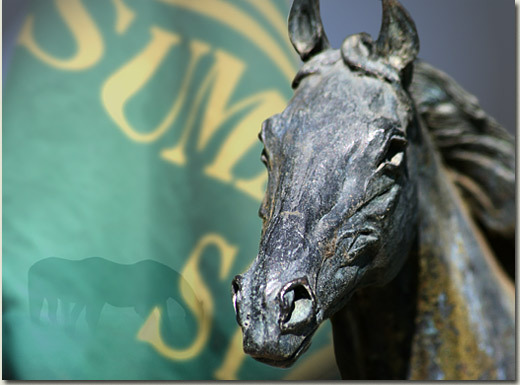 When you see the full regalia of six “green” flags hoisted at the Summerhill Stallion barn, be sure there’s a celebration cooking. That’s the sign of a Grade One victory, the Holy Grail of our sport. Qualifying for a Grade One is an unfailingly accurate gauge of class. You need it to get there, and you refine it by staying there. In recent times, the “green” flags have been doing a lot of fluttering at Summerhill. A Gold Cup hero, a Flying Championship ace and a Garden Province queen. And just to show that class is a way of life at Summerhill, dual Guineas victor Imbongi, Paris Perfect and Art of War have been blazing their own trails across the sands of Dubai. At the highest level. What it all comes down to, is this. The best of land, the best of people, and the best of care. And there’s no such thing as a “minor” detail. In fact, you could say it’s what makes Summerhill Summerhill.